Career counseling sessions support degree-seeking students and recent graduates in exploring, identifying and pursuing their individual career goals, while also teaching them about the professional tools they have at their disposal. We can assist you with résumé and cover letter reviews, job search strategies, strategizing a freelancing career, applying to grants and residencies, and exhibiting your work as an artist. Please select a career counselor below or select “No Preference” at the bottom. If you are unable to meet in person, please book an online appointment with Anna Ogier-Bloomer. All online appointments are conducted via Zoom. Freshmen, Sophomores, and First-Time Resume Writers – We recommend booking a 20-minute appointment with Shannon Finnell to get started. If you’re unsure of which counselor to meet with, you can contact us at cd@sva.edu for guidance. Be assured, all our counselors are well-equipped to work with students of all majors. Patty works with alumni, graduate and undergraduate students of all majors and years, with a particular focus on the Design programs; Film, Animation; and Computer Art, Computer Animation and Visual Effects. She is an award-winning film producer, researcher and creative consultant. Patty has two decades of work experience in New York City working both freelance and as staff for media production companies, broadcast design studios, art museums, nonprofit organizations and foundations. As a result, she possesses direct knowledge of workplace dynamics in a variety of settings. Her areas of expertise include writing effectively for a job/internship search and for all levels of career growth, negotiating job offers and terms of employment, creating a sustainable freelance career, building a small business, applying for college-level teaching positions, as well as the basics of job and internship searches, resume and cover letter writing and general career guidance. She has held faculty positions at the Assistant Professor level at Emerson College and Drexel University, and as an adjunct at Barnard College and University of the Arts. Patty has an MFA in Film and Media Arts and a BA in Communications, both from Temple University. Tricia Ross is a career coach, event and concert producer, and seasoned arts management professional with 25+ years of professional experience including The Juilliard School, Carnegie Hall, the Brooklyn Museum, and producing projects with Daisy 3 Pictures, Wheelhouse Creative, and 3-Legged Dog. 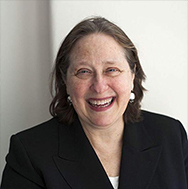 She is currently an advisory board member of Inwood Art Works in New York City and previously served as board member and Chair of the New Harmony Project. She also has trained and worked as a foreign language conversation partner with the International Center of New York. 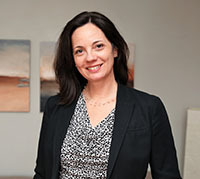 Tricia was a temporary career counselor for SVA in 2018, with areas of expertise including internship and job search planning; career exploration; networking skills and strategies; researching and applying to grants and fellowships; artist statement, resume, and cover letter writing; goal setting; and general career guidance. A member of the NYC Chapter of the International Coach Federation, Tricia holds an Advanced Diploma in Coaching from New York University, and a BS in Theatre Management from the University of Evansville. Stacy Miller is an artist and educator with management and teaching experience in art education, teacher training, museum education, and research and the arts. She completed her Ed.D. at Teachers College Columbia University in the visual arts, earned her Masters Degree in Museum Leadership at Bank Street College of Education in New York City and her BFA in sculpture and media studies at Massachusetts College of Art in Boston, MA. She has worked as Director of Research and Professional Development at the College Art Association as well as Director of Art and Design Education at Parsons School of Design, New School University, NYC. She has had a range of career paths including co-founding The Heritage School, an alternative public arts and technology high school in New York City, to being the first Curator of Education at the Isabella Stewart Gardner Museum in Boston, MA, as well as developing innovative community programs at the Museum of Fine Arts in Boston, MA. She currently teaches in the Photography Department at Parsons and in the Art Department at The College of New Rochelle. She co-authored with Angie Wojak a second edition of the book, “Starting Your Career as an Artist,” published by Allsworth Press, an imprint of Skyhorse Publishing, Inc. She is also currently working on a new book based on new ways of being an artist. Her studio practice involves a range of cross disciplines based on her interests in local and global female narratives. She lives in New Rochelle, NY with her husband and two rescue cats including one rescue studio cat. 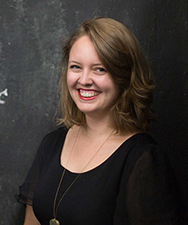 Anna Ogier-Bloomer is a published artist and educator, and a leader in arts career development practices. 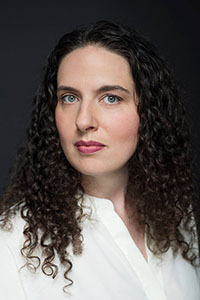 For more than a decade, she has been developing dynamic programming to further professional careers of visual artists through trainings, panels and conversations, workshops, individualized counseling and more in her roles in career services at the School of Visual Arts and Parsons School of Design in New York City. She leads workshops and presentations in a range of professional practice topics including: creating a sustainable fine art career, conducting studio visits, applying to open calls, grants and residencies, working with art dealers, breaking into academic college-level teaching, Fulbright grant development, time management, job and internship search and preparation, among many others. She has built relationships with industry leaders from across the arts and design such as Facebook, Apple, Pixar, Disney Animation, Hearst Corporation, ZARA, Nickelodeon, Warner Bros. Music, and Chronicle Books. Collaborations with arts organizations and curators include New York Foundation for the Arts, CUE Art Foundation, Skowhegan School of Painting and Sculpture, Anderson Ranch Art Center, the College Art Association, The Wassaic Project, SiTE:LAB, and more. She has served on the graduate faculty in the School of Visual Arts MFA Fine Arts program and has been an adjunct Associate Professor of Photography at The City University of New York. She is on the Board of Directors for Compound Yellow, and alternative art space in Chicago. Ogier-Bloomer’s photographs have been published widely online including The Huffington Post, The Daily Mail, BUST Magazine, Refinery29, Feature Shoot, among others. Her residencies include The Wassaic Artist Residency and The Feminist Incubator at Project for Empty Space, and The Bakery Photographic Collective. She holds an MFA in Photography from Parsons, an MPS in Digital Photography from SVA, and a BFA from The School of the Museum of Fine Arts. She lives and works in Chicago with her husband and two children, and travels often for her work. See her work at annaogierbloomer.com or instagram.com/annaogier. Shannon is available to help with resumés.